Presenting Rilakkuma Shop's first Christmas Sale Promotion! 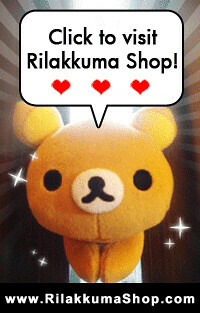 Please enter this code "NOVSALE10" during your checkout of items in http://rilakkumashop.storenvy.com/ to enjoy 10% off all items listed in store! For orders that are emailed directly to sale.rilakkuma@gmail.com can also enjoy the offer by entering the code in your order form. Usual terms and conditions still applies. Promotion ends on 25th December 2010 2359hrs. While stocks last!